Save 15% with a course bundle! Bundle the courses you need together and save. Shortcuts turbocharge your productivity in Excel: they help you work faster & more accurately, they let you focus on your work (not Excel's interface), and they unlock Excel's most powerful features. But shortcuts require practice to master. 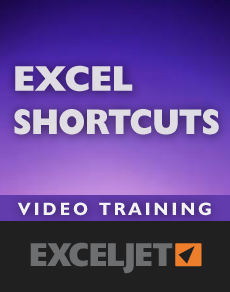 This video course covers over 200 Excel shortcuts, and includes a full set of practice worksheets. Start using more Excel shortcuts today! How to select "special cells" like formulas, values, blank cells, logicals, etc. Keys for scrolling left & right, and up & down. Excel has a huge number of shortcuts, but most people hardly use any. As a result, a huge amount of time is wasted every day by intelligent people flailing away in Excel's complicated interface, doing all the hard work that Excel could do for them. It's not their fault. Excel's shortcuts can be challenging, and almost no one gets good training. Will the course work for both Windows and Mac? Yes. 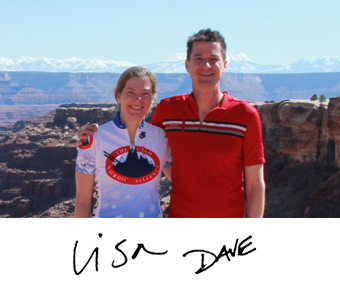 The videos were recorded in Excel 2010 on Windows 7, but all videos show shortcuts for both Windows and Mac, and we include material specifically for Mac users. Of course! If you aren't happy with the course, just let us know within 30 days and we'll give you a full refund. We're always interested in your feedback (so we can make the course better), but this a no-hassle guarantee. We want you to be completely happy. How do I access the course content? When you purchase the course, an account will be created for you automatically on the Exceljet website. You'll receive an email immediately with a link to login, and when you do log in, you'll have full access to all videos and practice worksheets for the course(s) you purchased. We believe that less is more. We think people learn quickly and effectively with a no-nonsense approach that is quick, clean, and to the point. Contact us to find out about special pricing for students, companies, or groups. If you're not completely satisfied, let us know within 30 days for a full refund. We want you to be 100% satisfied.